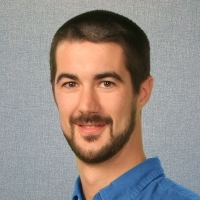 Zach Pickrell is responsible for industrial and gas turbine damper Application/Design engineering and cost estimating. Zach’s career started in project engineering, transitioning quickly to the Applications engineering group. Zach’s strengths are product design and development. Zach received a BS in Mechanical Engineering Technology from the University of Maine. Fill out the form below to send your question directly to Zach Pickrell, or go back to select a different expert.